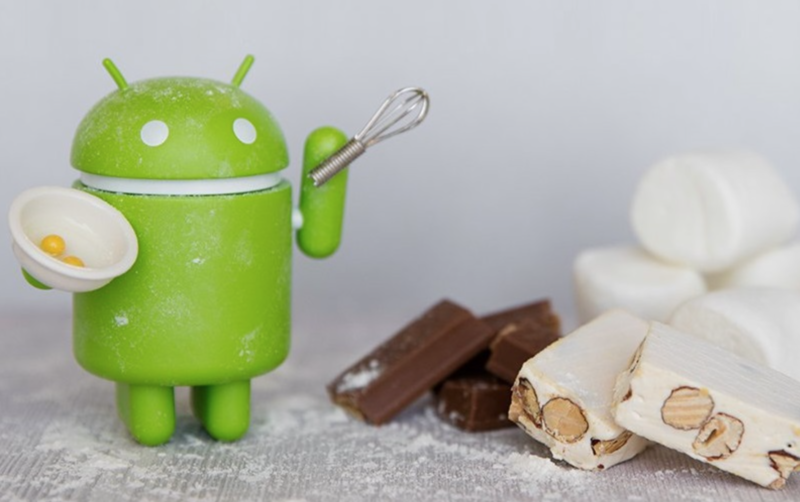 Android Manufacturers Fighting to Be the First to Roll Out Nougat Updates – Definitely a First! Sony wants you to "prepare your rotten tomatoes"
It’s been an interesting year for an Android user. With Google launching its own Pixel lineup, its partner phone makers have finally been scrambling to deliver Nougat updates and upgrades to compete with Google’s own offering. Google’s carrier partner, Verizon, had promised that Pixel updates will be delivered similar to iPhone software updates. In this renewed push, Android manufacturers have been trying to release software updates before others. This year, we are seeing a visible competition among Android phone makers for being the “first” after Google to deliver updates. LG boasted it with Android 7.0 Nougat Update, and now Sony wants to be the first to roll out Android 7.1.1 Nougat update, the next major update to this year’s OS. “If you spot any other vendor (excluding Google) releasing this faster than us, prepare your rotten tomatoes,” Sony has said. Hmmm, zesty. It definitely is exciting to see Android manufacturers finally fighting to deliver updates after 3 months – and not a year later. So far LG, Sony, Motorola, and HTC have all updated their latest flagships to Nougat. While OnePlus, ZTE, and Huawei have Android 7.0 in public beta testing phase. One notable exception from the former list is Samsung. 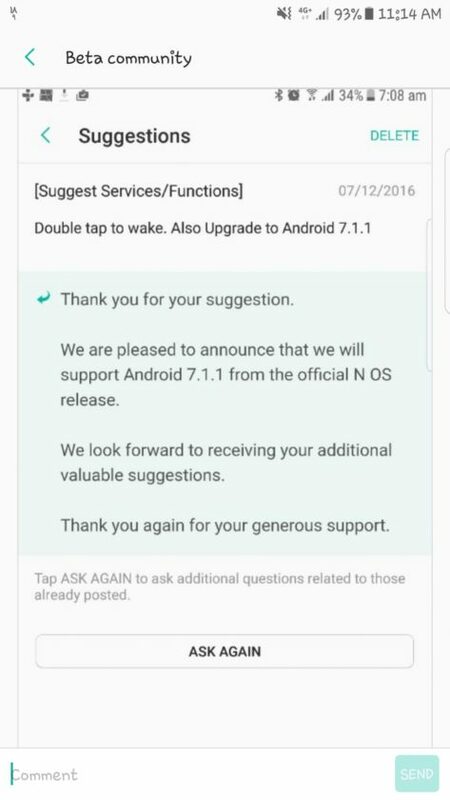 The Korean tech giant is still beta testing Android 7.0 Nougat with release to the public pushed to January 2017. Samsung is the last of all major Android phone makers to upgrade its Samsung Galaxy S7 and S7 edge to Nougat. However, Samsung might just want to beat LG and Sony in this race to release Nougat 7.1.1 as the company plans to update Galaxy S7 duo directly to Android 7.1.1. Folks at 9to5google spotted a post in which a Samsung user has received a response from the company confirming that it would update the lineup directly to Android 7.1.1. Samsung has had a tough year with its Note 7 fiasco. The tech giant simply cannot afford to be the last of the major Android companies to deliver software and security updates, losing more consumer trust. Whether it will be able to beat Sony’s ambitious goal to be the first third-party manufacturer to distribute the recently announced Android 7.1.1 Nougat – we will have to wait to see. But, whoever sends the update first, it goes to show the world of Android is finally changing. After passive-aggressive pushes, all Google apparently needed was to proudly brand its phone hardware to promote competition (even if it has been accused of “favoring” Pixel). It definitely won’t ever be like iOS, considering the number of manufacturers and their “skins,” but it doesn’t have to be as slow as the “traditional Android” we have come to know of.